In order to feature some of the scientific highlights and breakthroughs in the field and to promote the reproducibility of research results, the Geometry Processing community has decided to give awards to authors of seminal papers and outstanding software projects. On the occasion of the 10th edition of the Symposium on Geometry Processing in 2011, the SGP steering committee, in cooperation with the GeometryFactory as a sponsor, has established the SGP Software Award program. The intention of this award is to recognize researchers in the field who have contributed to the scientific progress in Geometry Processing by making their software available to the public such that others can reproduce the results and further build on them in their own research work. Eligible for the award are primarily open source projects and software libraries but also tools and applications. Nominations can be sent to awardnominations@geometryprocessing.org all year. The award is presented each year at the symposium. El Topo is a free C++ package for tracking dynamic surfaces represented as triangle meshes in 3D. It robustly handles topology changes such as merging and pinching off, while adaptively maintaining a tangle-free, high-quality triangulation. Super4PCS (paper, github) is a set of C++ libraries, standalone applications and plugins released under the terms of the APACHE V2 licence, which makes it free for commercial and research use. It provides state of the art global registration techniques for 3D pointclouds. MeshLab (http://www.meshlab.net/) is an open source, portable, and extensible system for the processing and editing of unstructured 3D triangular meshes. It also supports processing of raw data produced with 3D digitization tools/devices, providing a set of tools for editing, cleaning, healing, inspecting, rendering, texturing and converting this kind of models. Digital Geometry focuses on the topology and geometry processing of digital structures (subsets of Z^d) with various applications in Pattern Recognition, Material Sciences or Medical Imaging. DGtal (http://dgtal.org) is a generic and collaborative C++ open source library for Digital Geometry programming whose main objective is to gather both cutting-edge and well-established developments from the digital geometry community. 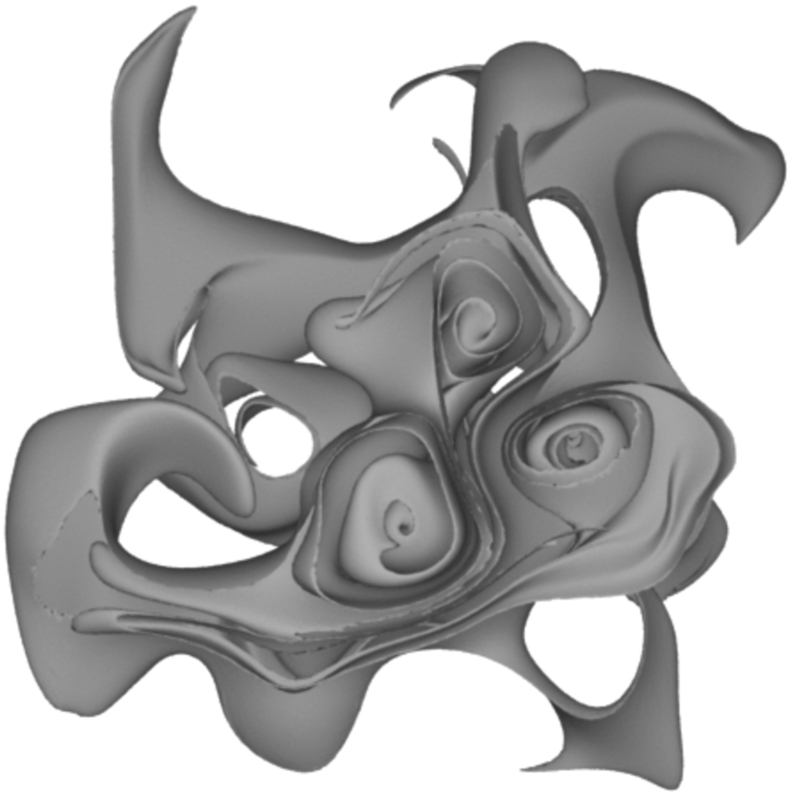 Libigl is a C++ geometry processing library. It has a wide functionality including construction of sparse discrete differential geometry operators and finite-elements matrices such as the cotangent Laplacian and diagonalized mass matrix, simple facet and edge-based topology data structures, mesh-viewing utilities for OpenGL and GLSL, and many core functions for matrix manipulation. Marco Attene is a researcher at the Institute of Applied Mathematics and Information Technologies of the CNR. He received his PhD from the University of Genoa where he was advised by Bianca Falcidieno and Michela Spagnuolo. His research focuses on problems in the domains of 3D geometric modelling, processing, and analysis. Marco was awarded the SGP Software Award for release of the MeshFix code (http://sourceforge.net/projects/meshfix/) which robustly fixes small problems in meshes representing solid shapes ??? removing self-intersections, fixing non-manifold issues, filling holes, and returning a water-tight mesh. Gael Guennebaud is a research associate at INRIA Bordeaux Sud-Ouest. He received his PhD from the Research Institute for Computer Science of Toulouse where he was advised by Mathias Paulin. His research focuses on problems in the domains of point-based graphics, complex scenes, and soft-shadow rendering. Gael was awarded the SGP Software Award for release of the Eigen code (http://eigen.tuxfamily.org/) which provides a C++ template library for linear algebra: matrices, vectors, numerical solvers, and related algorithms. Hang Si is employed by Weierstrass Institute (WIAS) in Berlin. He received his PhD from the Institute of Mathematics of Technische Universitaet Berlin where he was advised by Gunter Ziegler. His research focuses on problems in the domain of automatic mesh generation. Hang was awarded the SGP Software Award for release of the TetGen code (http://wias-berlin.de/software/tetgen/) which implements state-of-the-art methods for constructing Delaunay tetrahedralizations and quality tetrahedral meshes. Misha Kazhdan is an associate professor in the Computer Science Department at Johns Hopkins University. He received his PhD from Princeton University where he was advised by Thomas Funkhouser. His research focuses on problems in the domains of surface reconstruction, image-progress, and surface evolution. Misha was awarded the SGP Software Award for release of the Poisson Surface Reconstruction code (http://www.cs.jhu.edu/~misha/Code/PoissonRecon/) which reconstructs manifold and water-tight surfaces from oriented point clouds. This award is aimed to encourage and recognize the importance of the distribution of high-quality datasets on which geometry processing algorithms are tested. Since 2016 it is given to authors of top-quality datasets and benchmarks provided to the comunity of Geometry Processing as testbed for present and future algorithms. 2018 ShapeNet: An ongoing effort to establish a richly-annotated, large-scale dataset of 3D shapes. 2016 MPI FAUST Dataset: A data set containing 300 real, high-resolution human scans, with automatically computed ground-truth correspondences.